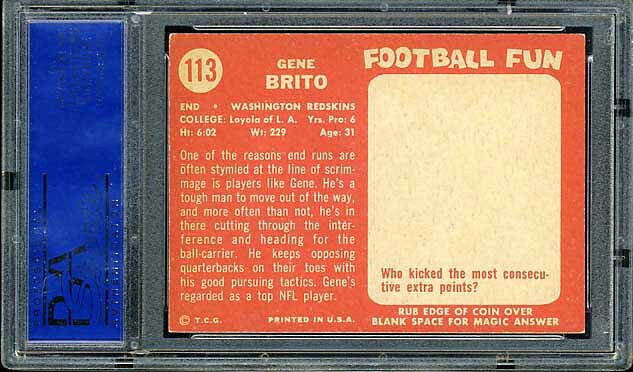 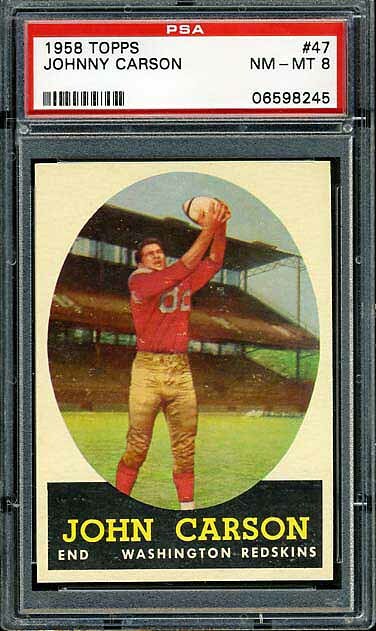 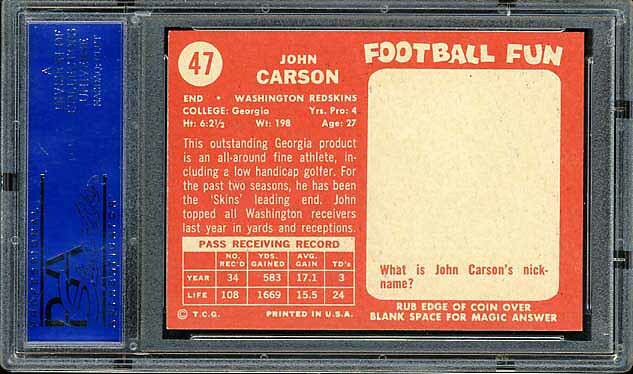 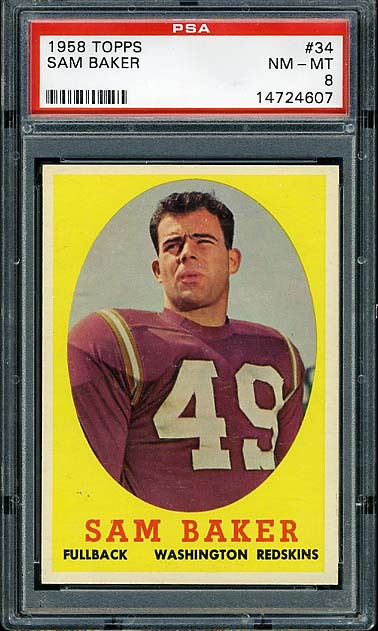 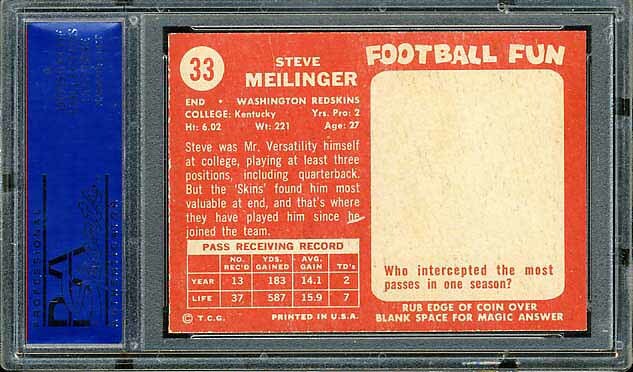 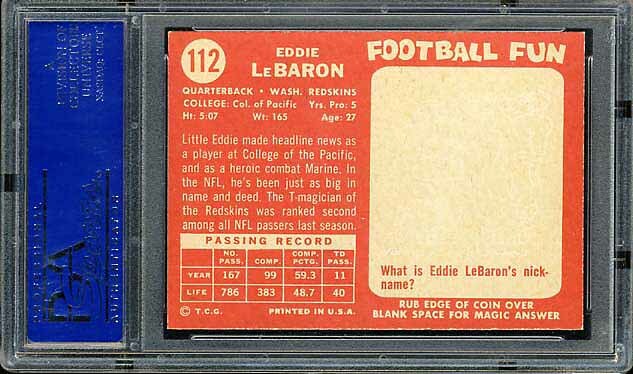 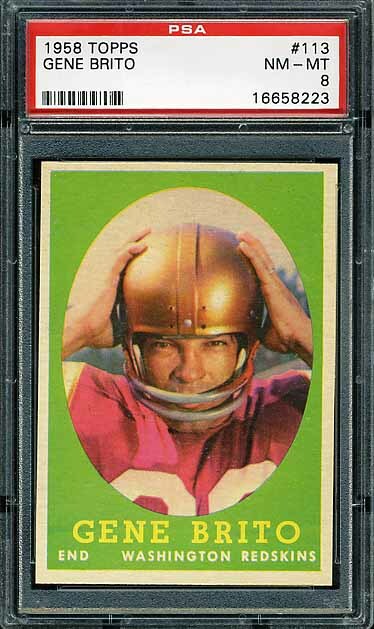 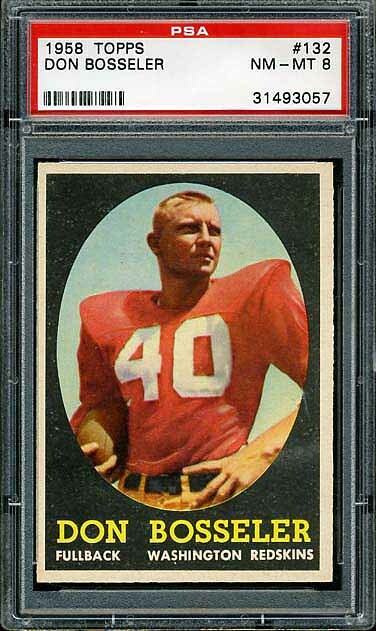 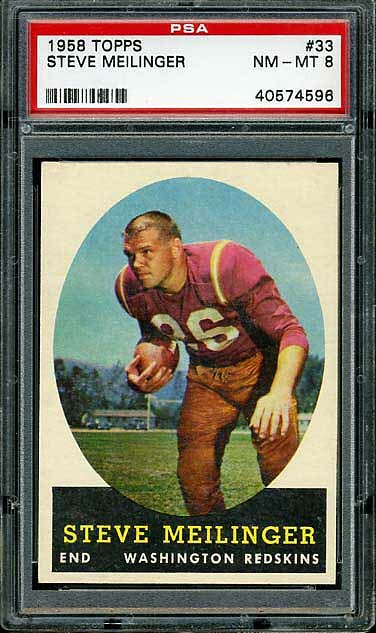 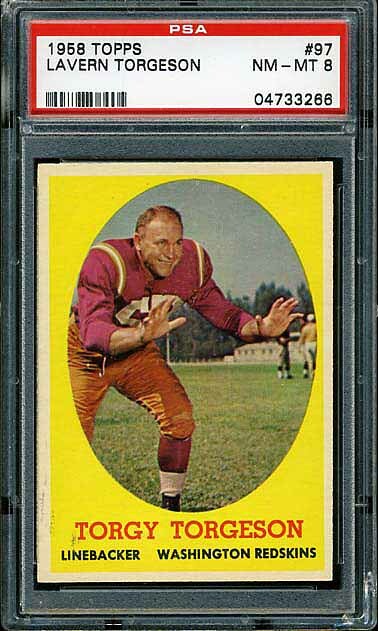 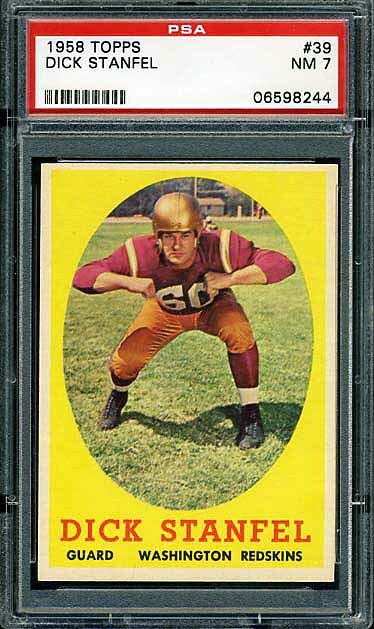 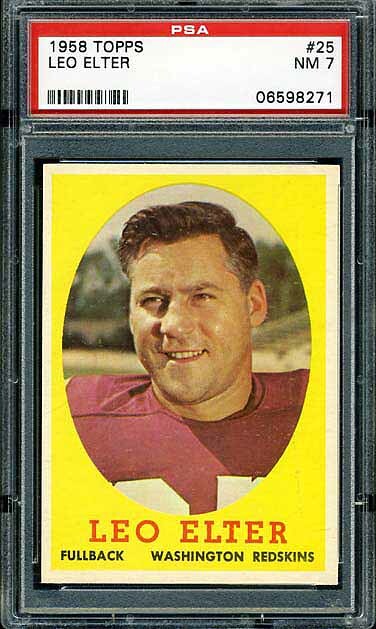 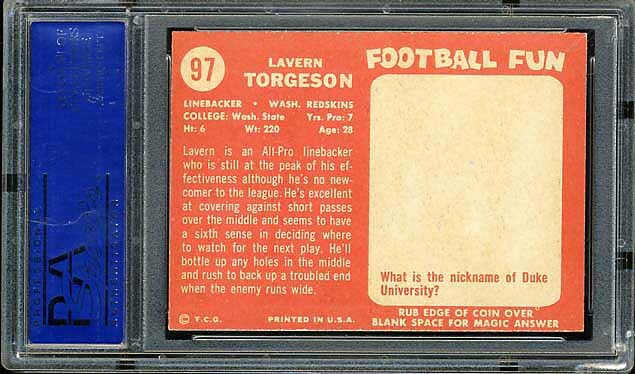 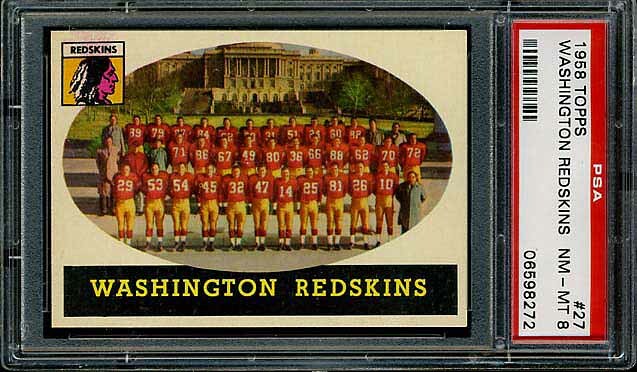 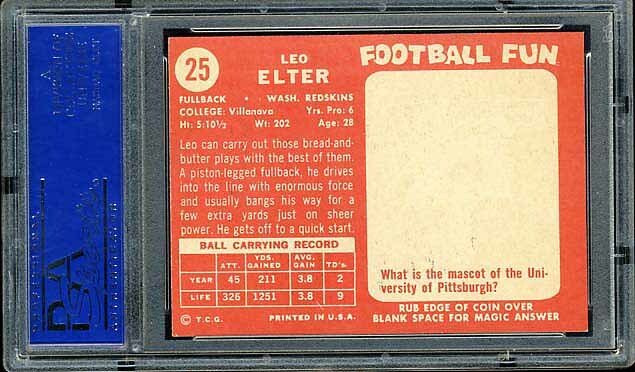 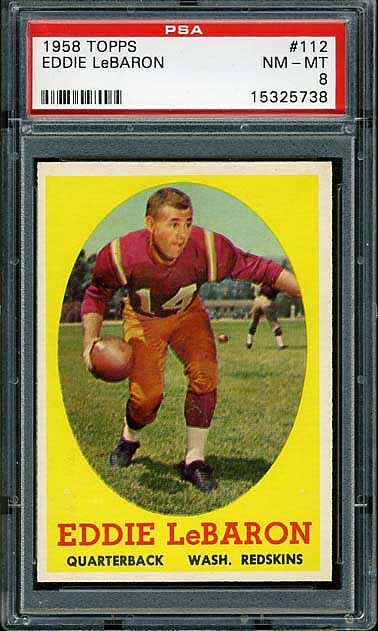 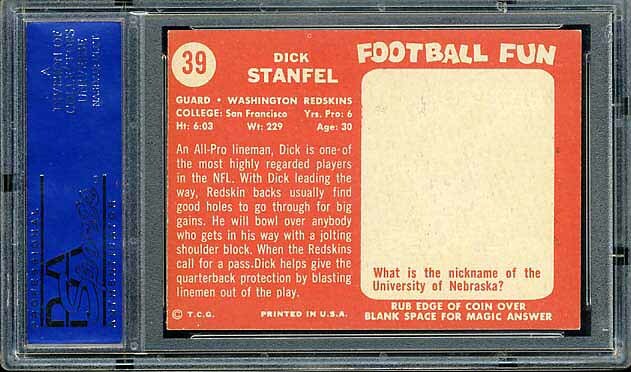 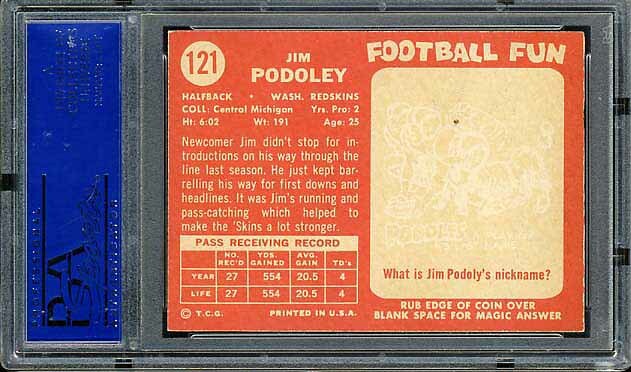 The complete 1958 Topps Redskins team set is shown below. 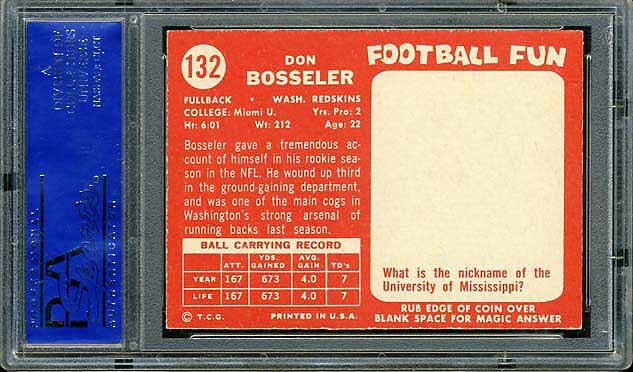 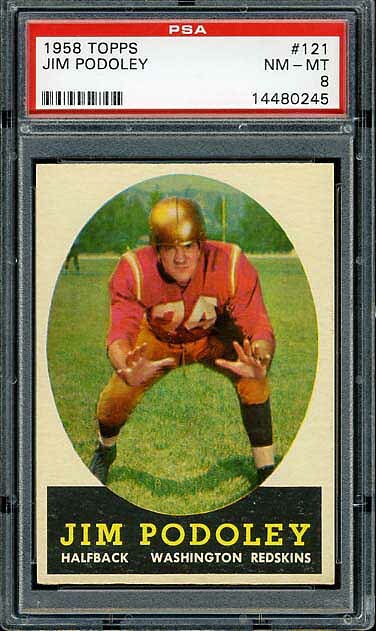 The key card in this set is card #132 Don Bosseler. 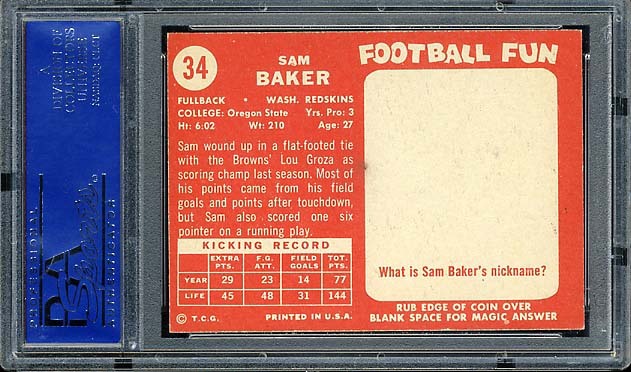 Not only is this his rookie card, it is the last card in the set.